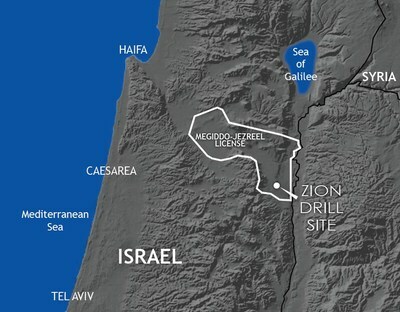 DALLAS and CAESAREA, Israel, May 17, 2018 /PRNewswire/ -- Zion Oil & Gas, Inc. (NASDAQ: ZN) announces that it expects to commence perforation, stimulation and flow back operations on its Megiddo-Jezreel #1 (MJ #1) well as early as next week in Israel. Zion's President and Chief Operations Officer, Dustin Guinn, stated, "After extensive well preparation, rig up and endurance testing of our service provider's imported well testing equipment, which includes additional well control equipment, flare stacks, separation units, slick line unit, stimulation and storage equipment, we are ready to begin the highly anticipated testing and flow back of the MJ #1 well. We recognize that this has taken longer than expected, but the fact remains that Zion has just surpassed one year without a recordable incident, a great achievement, and we will not increase our risk profile to save a few days. While we do not have a definite timeline for the testing of each zone, especially if we need to perform extended flow back testing, we expect basic testing to require approximately 7-10 days per zone to perforate, run tubing, monitor flow, stimulate and resume monitoring flow. Extended testing will require more time." 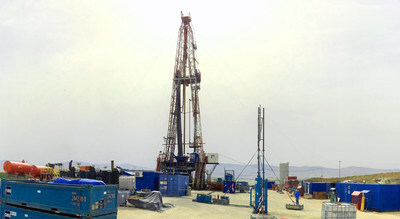 Zion's CEO, Victor G. Carrillo, added, "Having recently returned from Israel, we remain very excited about and anxiously await results from our upcoming well testing operations. In addition, we celebrate the State of Israel's 70th anniversary as a nation and I heartily applaud and commend the President's decision to move the US Embassy to Jerusalem – Israel's eternal capital. Mazal Tov to Israel!" Zion's 2018 Annual Shareholders Meeting will be held on June 5 at 2:00 pm at the Westin Park Central Hotel in Dallas, Texas. If you are a shareholder planning to attend, please register through our website (www.zionoil.com/2018-annual-meeting-of-shareholders/). Shareholders are also encouraged to obtain Proxy information and voting instructions online from AST Financial (www.astproxyportal.com/ast/Zionoil/) and cast your vote via proxy.